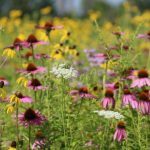 See conservation in practice at this year’s prairie walk on Wednesday, June 13, 2018! Registration for the program starts at 8:30 AM, with a presentation beginning at 9:00 AM. A guided walk of the property will follow and conclude with a catered picnic lunch.